We’re offering 20% off all quoted prices for orders for any graphic design or websites received for the beginning of 2017. Happy New Year! 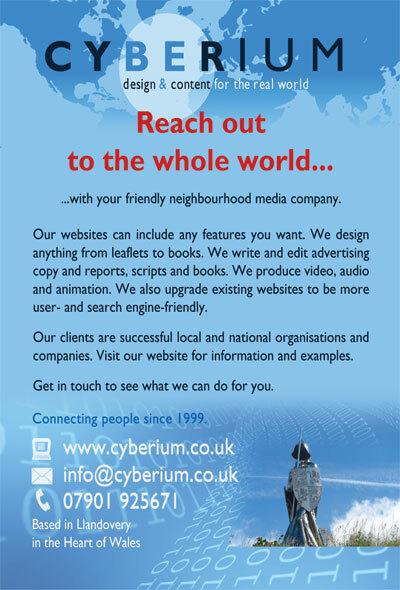 If you feel you want a new or upgraded website, or leaflets or other promotional material, we’re offering 20% off our usual price. This means a typical basic bilingual WordPress website which would be around £800, would be £640, a £160 saving. An English-only website would be £480 instead of £600, saving £120. Colour scheme based on your logo. Attractive, professional and modern design. Menu bar prominent and well positioned beneath the strap line containing the logo. All aspects of the design will be iterative in full consultation with you until you are happy with the design. To work on mobile phones and iPads as well as PCs and Macs. To work well across different browsers such as IE, FireFox, Chrome and Safari. A right hand column containing feeds for your news and social media bulletins from Twitter and Facebook, etc. Training provided in updating the site and your domain control panel. WordFence plugin to ensure security. You may also supply video, audio or PDFs for inclusion. Leaflet designs (A4 two sided) from £120. Other prices upon enquiry. Get in touch now!